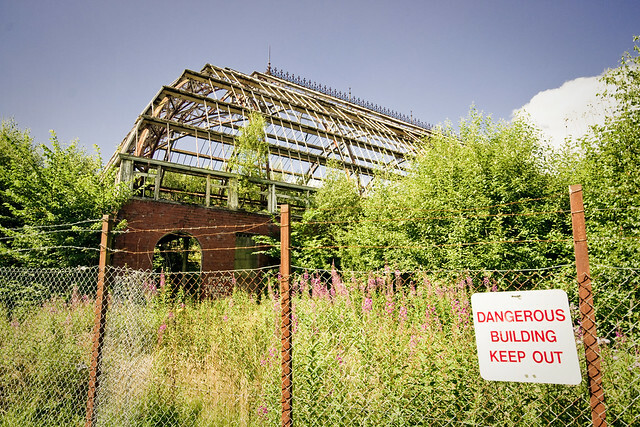 In 1892, Glasgow Corporation acquired a rather uninteresting bunch of fields with a disused quarry, to build a park. 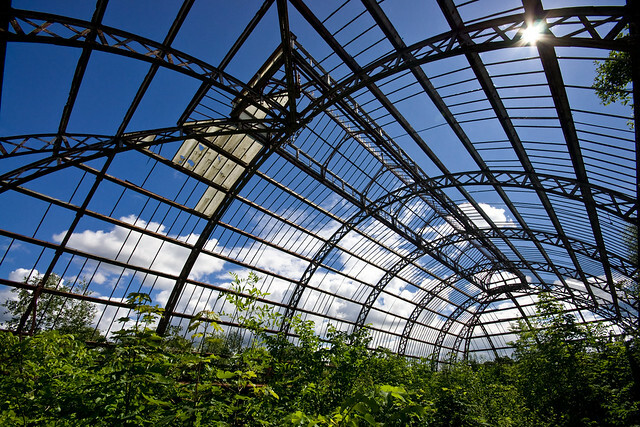 In 1900, Hugh Reid of the North British Locomotive Company donated a further area of land, along with £12,000 to build the nearby Springburn Public Halls (now also derelict) – a condition of the gift was that the City should construct the Winter Gardens. 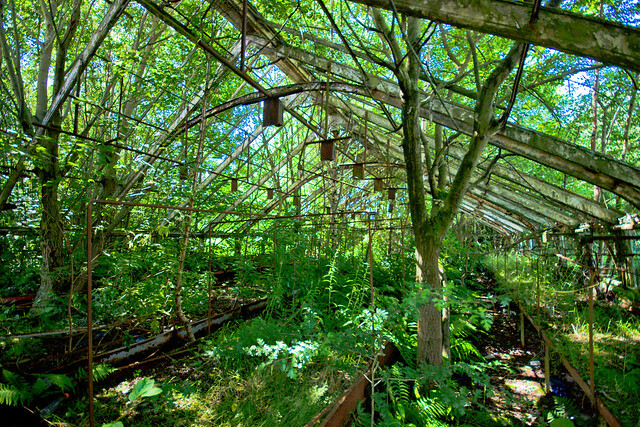 The Gardens have now been derelict for about 25 years, and are A-listed. 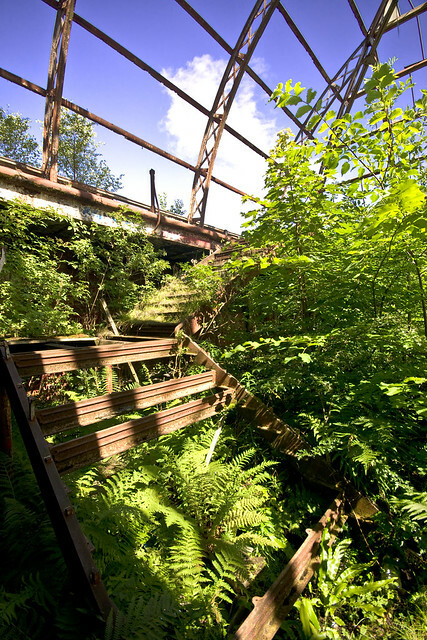 The inside is now very overgrown – the Gardens are unusual in that they have an elevated walkway all around the main glasshouse. The steps up to the walkway have almost completely rotted away. The glass has almost all gone, and the supporting ironwork is also falling away. 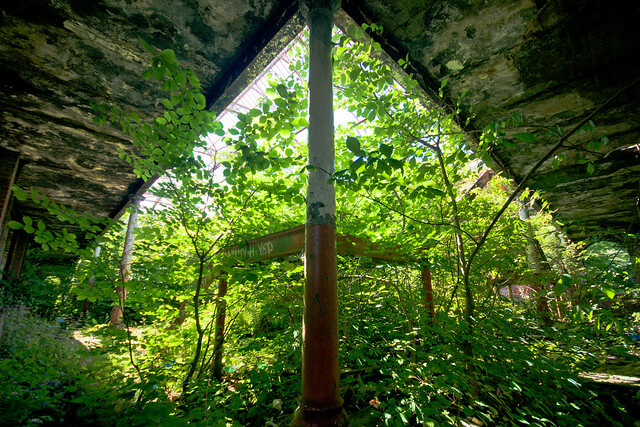 Up on the walkway, above the foliage, it is beautiful. The nurseries off to the side have gone very wild.